OPEN HOUSE 11:30 AM TILL 2:30PM Sat 8/11/2018 Incredible home backing to open space with stunning views. 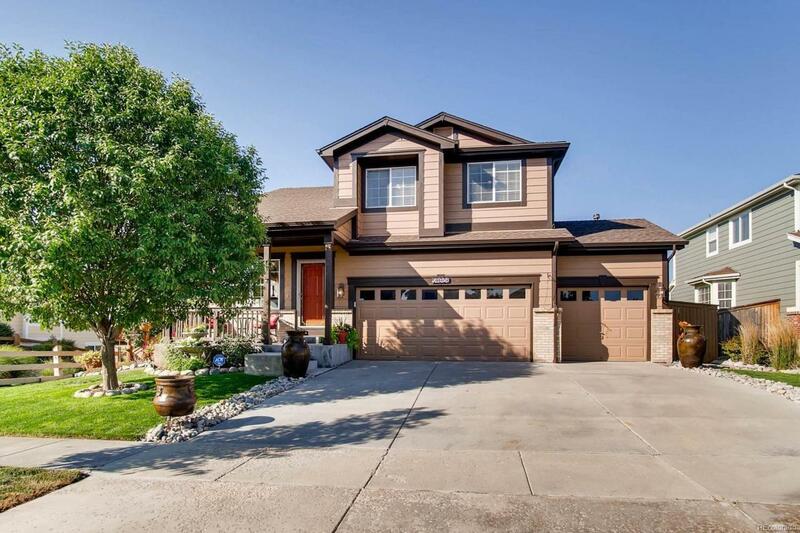 3 Bedrooms, 3 baths, 3 Car Garage, Full Walk-Out Basement with 9-foot ceilings, Vaulted ceilings & open layout throughout! Kitchen features custom cabinets with granite and all appliances, including refrigerator, center island, pantry & eating space. Family room features a gas fireplace, art niches. The upper master bedroom boasts custom French doors, dual walk-in closets & a private five piece bathroom. Stunning wood floors throughout the upper level and tile throughout the main level. All upgraded and remodeled throughout! Gorgeous covered upper Deck and Covered Lower Patio! Custom year-round water feature! So many included features, Outdoor TV, Outdoor Double Ceiling Fans, Propane Firepit, Upper Deck Patio Furniture, Swinging Bench, Grill, All Gym Equipment in the basement, Movie projector in the upstairs bedroom and screen! Newer Furnace and A/C!